Browse: Home / Datasploit – A tool to perform various OSINT techniques. Datasploit – A tool to perform various OSINT techniques. 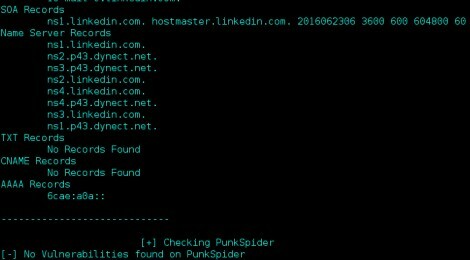 – Performs OSINT on a domain / email / username / phone and find out information from different sources. – Correlates and collaborate the results, show them in a consolidated manner. – Tries to find out credentials, api-keys, tokens, subdomains, domain history, legacy portals, etc. related to the target. – Use specific script / launch automated OSINT for consolidated data. – Available in both GUI and Console. We are working towards few sample API keys which we can deliver as part of the project, so that new users can quickly evaluate the tool. Although those will help only in running basic scans, as all the evaluations will go with these keys and hence more chances of hitting the rate limiting on these APIs. ← Mimikatz v2.1 alpha 20160523 – A little tool to play with Windows security.